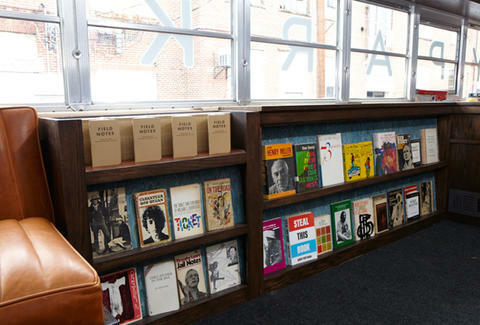 Gentleman spectaclers Warby Parker has brought their showroom here in a re-rigged school bus resembling a wood-paneled library (with vintage books & leather sofas), but despite the stuff about schools and books you should keep reading. Inside, a team of eyewear stylists will tell you all about sweet, bizarrely affordable shades and prescription glasses as you listen to live sounds from two-man folk group. Awkward! !